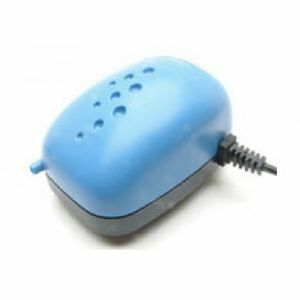 If you need to raise and maintain higher levels of oxygen in your hydroponics tank or aquarium you can use a Hailea air pump and stone to deliver those bubbles directly into your water. Hailea air pumps are very reliable and they require very little power to run, making them perfect to use 24/7 to aerate the water. Hailea air pumps also have rubber feet fitted to the base of the unit to help eliminate any vibration whilst the air pump is on. The 1 outlet is a fixed flow pump that delivers 1.6 litres of air per minute into the water.